Do Modern Day Apostles and Prophets Exist Today? Before I answer that question, please answer my questions. 1. What is the Five-Fold Ministry? 2. What is the foundation of the Church? 3. Has the foundation of the Church already been built? 4. How can someone build on the foundation of the Church? 5. Why did Christ give us the apostles, the prophets, the evangelists, the pastors and teachers? 6. Since we have not all reached unity in the faith and in the knowledge of the Son of God and become mature, attaining to the whole measure of the fullness of Christ, don’t we still need apostles and prophets? 7. Isn’t it possible that God has given new revelations to modern day apostles and prophets? Based on the Scriptures, you should now know the answer to my question, “Do modern day apostles and prophets exist today”? The simple answer is, no. The foundation of the Church began with Old Testament prophets and ended with Christ and the apostles He appointed. 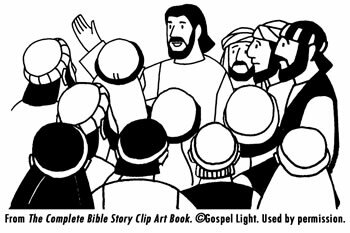 Before He was raised up to heaven, Jesus instructed the apostles to teach everyone to obey everything that He had taught them. The apostles then, taught everyone to obey everything Jesus taught them by only following their teachings because they were taught directly by Him and only they were trustworthy with His message. The apostles taught everyone to stay away from anyone who taught anything that was contrary to their own teachings. The Five-Fold Ministry is still valid in that we still have the prophets of the Old and New Testaments and we still have the teachings of the apostles who were directly appointed by Jesus. This is the foundation of the Church, which has already been laid, Christ being the Chief Cornerstone. Without this foundation, we would have nothing secure upon which we can build. The Church functions because of the other offices of the Five-Fold Ministry. The evangelists, the pastors and the teachers all have important ministries to perform in building the Church. All of these ministries rely deeply upon the foundation upon which they build. The evangelists are those who carry out the first part of the great commission. The pastors nurture those that the evangelists have brought in. leading them in true worship, training and leading teachers as the apostle Paul trained Timothy. Teachers teach everything the apostles taught them through reading and studying the Scriptures. True teachers only teach what was taught by Jesus and His disciples. They do not teach new revelations. All of their material is only found in the Bible. Since the foundation of the Church has already been laid and all Scripture is God-breathed and is useful for teaching, rebuking, correcting and training in righteousness, is there still need for apostles and prophets? There is one more help regarding God’s instructions for us. Because of the Holy Spirit, we can be sure that God’s Word is complete and sufficient to teach us all of His ways. We can rely upon those who are trustworthy to teach and preach God’s Word without adding to or taking anything away from it. The apostles and prophets of the Five-Fold ministry are those found in the Bible, giving us a firm foundation upon which we can safely build. Any other foundation is faulty.